Yup, I am way behind, and only just catching up with my Christmas layouts. I must confess, I don't really enjoy scrapping birthday and Christmas pages, I prefer layouts that capture everyday moments. But these pages still need to be scrapped and I try and make them different every year, this year I used an old sketch from Let's Scrap for inspiration!! I used this layout for all the boys' pages, and obviously just used different photos. 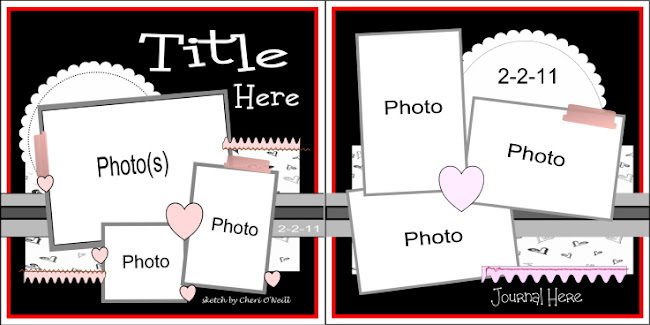 I am linking up with my friend Dawn's Creative Mondays, why don't you do the same!! 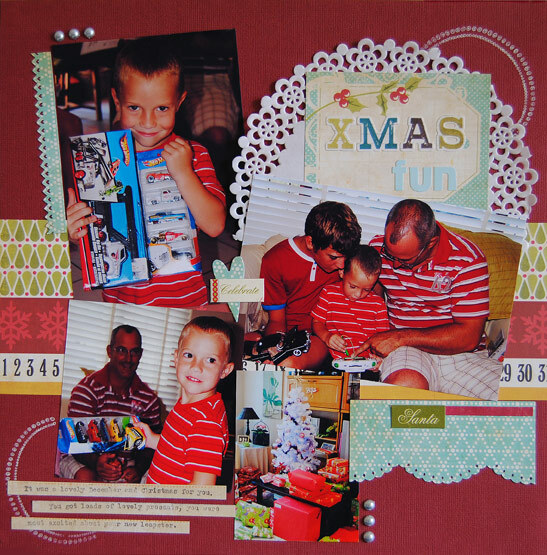 What a beautiful Christmas layout Rene'! Just love it!